Plus is an organization that I created for my senior design thesis at the University of Massachusetts Dartmouth. 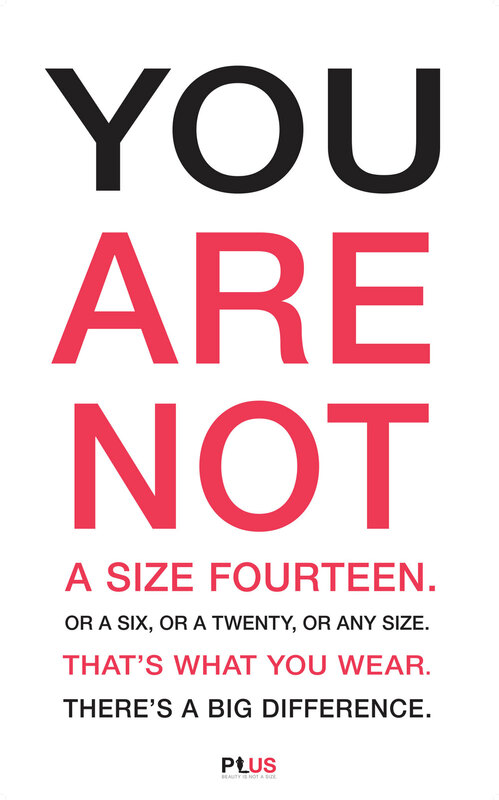 The project was focused on an awareness campaign for women's body image as it relates to clothing sizes, in hopes of changing the perspectives we have on body size. 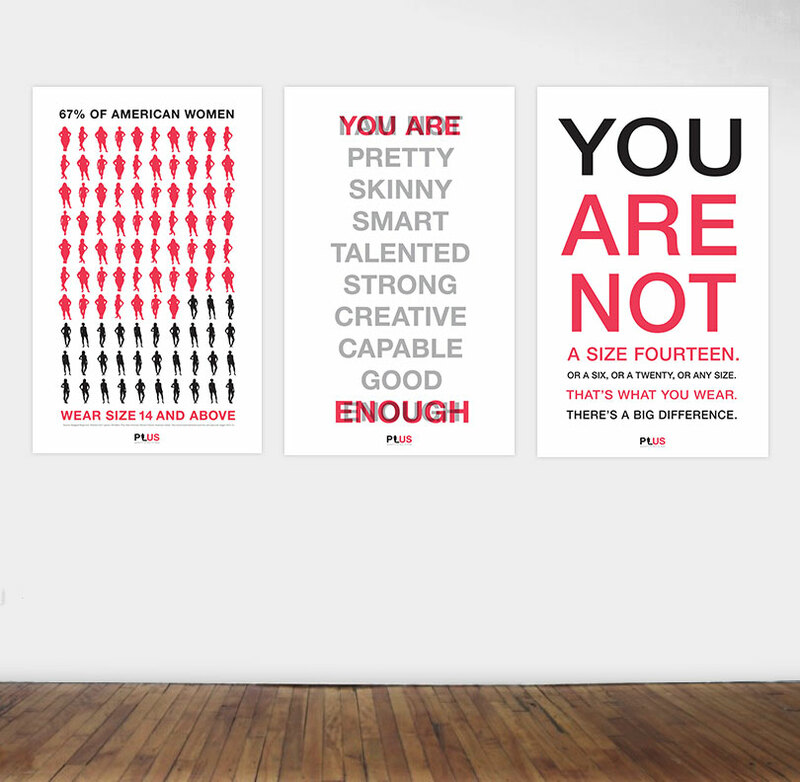 The poster series was designed to be bold, and to clearly communicate strong messages from across the room. I was inspired by the statistic in the first poster: 67% of American women wear size 14 and over, and the average size of an American woman is 14. Current size labels are divided into two groups: those who fit into typical sizes and those who don't. While the former is conventionally accepted as fitting the average shopper and has no particular name, the latter is distinctly set aside and labeled as different with the term "Plus." The word "plus," as noted in the Oxford English Dictionary, literally means with the addition of, and in the context of clothing can logically refer to additional fabric used in a garment. The problem with this term is revealed by asking the question, "In addition to what?" With every size increment, additional fabric is required to create a slightly larger size, whether the increment is from Extra-Small to Small or 18 to 20. So, logically each size is created with space in addition to the previous size. By labeling an entire group of clothing with the word "Plus," we are saying that these garments, and the people who wear them, are larger than "everyone else," and can no longer be grouped together. This creates an exclusionary division between what is accepted as normal and what is not. Plus-wearing women are left to shop through either expensie specialty departments or a selection of clothing that feels like a fashion designer's afterthought. Remember those cute normal clothes in the affordable, non-labeled section? That's not for Plus.